سواءً كنت مسافراً بغرض السياحة أو العمل, The Port Douglas Queenslander Apartment هو خيار عظيم للإقامة خلال زيارتك بورت دوجلاس. يقع مركز المدينة المثير على بعد 1. Km فقط. سوف يعشق النزلاء موقع هذا الفندق، فهو قريب من أهم المعالم السياحية في المدينة كمثل The Book Lounge, Funstuff by Lynda, Whileaway . 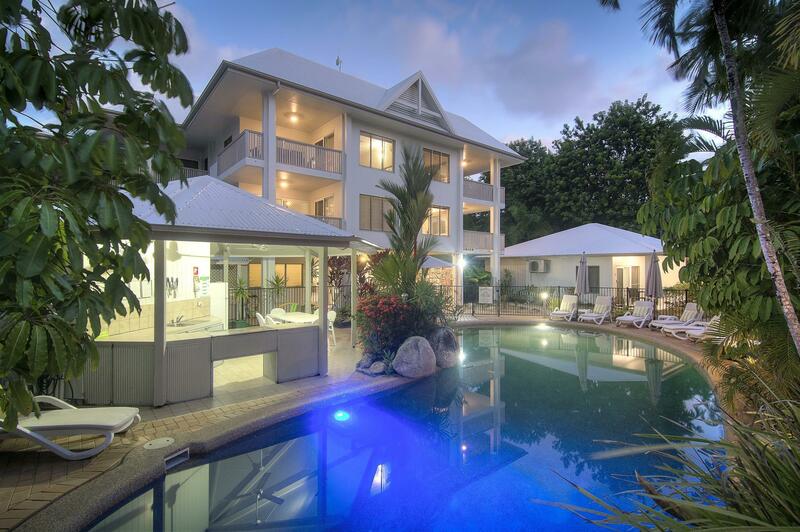 يقدم The Port Douglas Queenslander Apartment خدمات لا غبار عليها وكل أشكال اللياقة وحسن الضيافة اللازمة لإسعاد ضيوفه. تتضمن الميزات الرئيسية في هذا الفندق: واي فاي في المناطق العامة, صف السيارات, التوصيل من وإلى المطار, غرفة عائلية, مرافق للشواء. تنعكس أجواء The Port Douglas Queenslander Apartment في غرف الضيوف.تلفزيون بشاشة مسطحة, غرف لغير المدخنين, مكيف هواء, شرفة/ تراس, ساعة منبه هي بعض الميزات الموجود في العديد من الغرف. يمكنك الاستمتاع بالأجواء المريحة التي تقدمها حمام سباحة خارجي, حديقة طوال النهار. 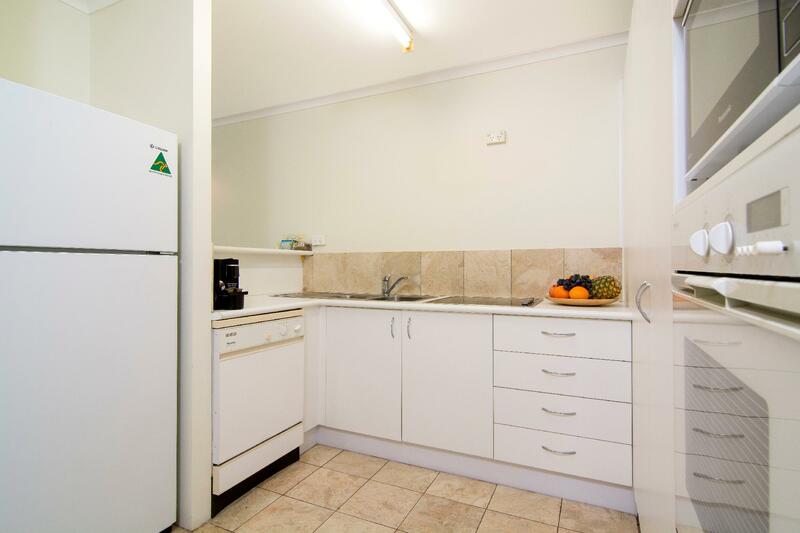 مهما كانت أسبابك لزيارة بورت دوجلاس، فإن The Port Douglas Queenslander Apartment هو الخيار الأفضل لإقامة مثيرة وممتعة. This 2-night stay was the perfect ending to our 3 week trip to Australia, in which we drove from Sydney to Port Douglas. It was friendly, clean, had big rooms, a lovely balcony, washing machine & dryer, a barbecue for guest use (complete with fridge, oils and loads of condiments), and a wonderful pool - surrounded by palm trees with parrots flying overhead, a memory I will treasure. Great little place good location cant go wrong staying here. We wish we would have planned more time in Port Douglas since we found this place to be absolutely wonderful. Cleanliness, necessities, assistance - all there. This is in a great location and I would stay here again. 5 mins from 4 mile beach and 5 min away from Marina. The hotel is spotless and the appartment had good facilities. Nothing stood out - not as clean as it should have been particularly in the stairway areas - our unit had chips & dust u der the couch - kitchen crockery and plates were very cheap - couch had an odour - fridge door did not close properly - management not friendly - had to ask for a toilet roll & you would have thought I was asking for a million dollars - would not stay there again and certainly would not recommend it to anyone. 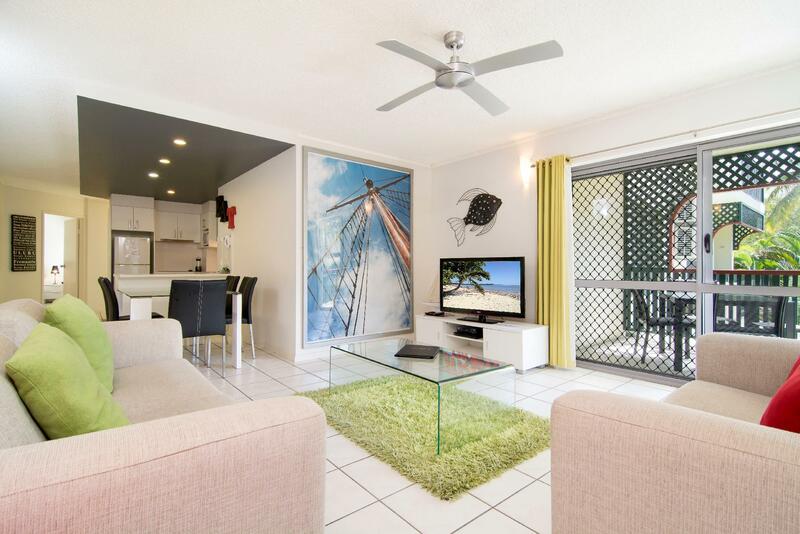 Excellent value for money, walking distance to town & restaurants and a perfect base for day trips to Cape Trib, Mossman gorge and Barrier reef tours. Rosemary and Damian were always friendly and willing to help. The queenslander is in a great location. Walking distance to the main street and marina. Value for money. Very clean with good facilities. We had foxtel and a washer/dryer which was good. Good pool and bbq area. Only negative was the noise from the pool got loud sometimes. 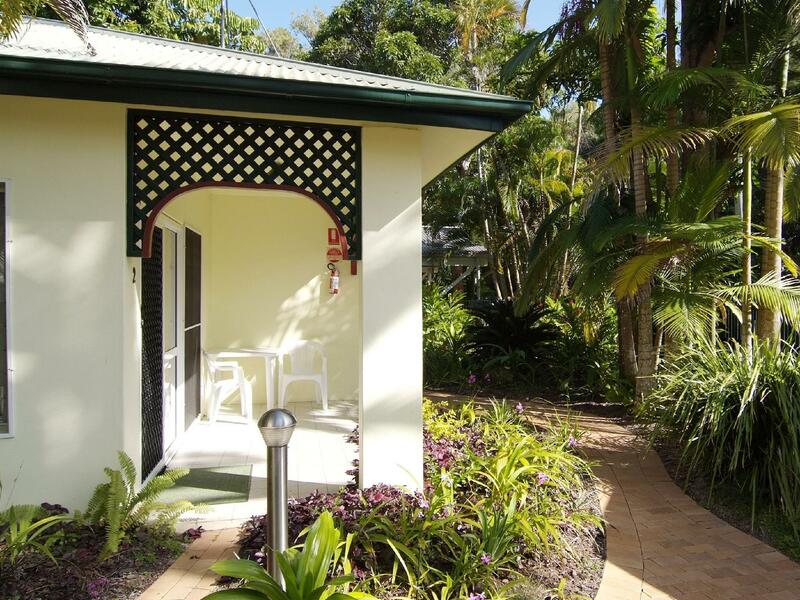 The Queenslander was a fantastic base from which to explore Port Douglas! The fact that it is only a few minutes walk from the beach, swimming net, yacht club, marina and the centre of town made it super convenient... so it didn't matter at all that I hadn't hired a care. I found the apartment to be clean, cool and comfortable, and also enjoyed spending time in and around the pool. My only criticism (and it is a minor one) would be the additional fee associated with a change of towels and/or bedlinen for less than a seven-night stay. Good location. Poor support for late and early arrival/ departure. No room service during stay if more than one day. All the amenities you require. Also washer and drier which is an extra bonus as we were travelling the coast and was able to wash our clothes. Room comforts were exceptional. Nice pool and outdoor space for barbecue. Enclosed parking at the rear. Nice quiet location within easy walk of the bars, shops and marina. We have stopped in 9 different hotels in Australia throughout our holiday and this was the best room and facilities by far. I would highly recommend a stay here. The studio where we stayed was perfect! Bed was comfortable, aircon worked perfectly, kitchen, bathroom and laundry facilities were excellent! Will have no hesitation in recommending it to my friends. 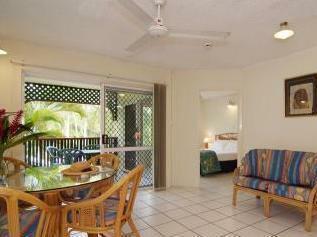 We were pleasantly surprised with the Port Douglas Queenslander. Our apartment was clean, comfortable, had a beautiful view, and had everything we needed, including a full kitchen, washing machine and dryer and even detergent. It is an easy walk (3-4 blocks) to the main commerce and the marina. Highly recommend! 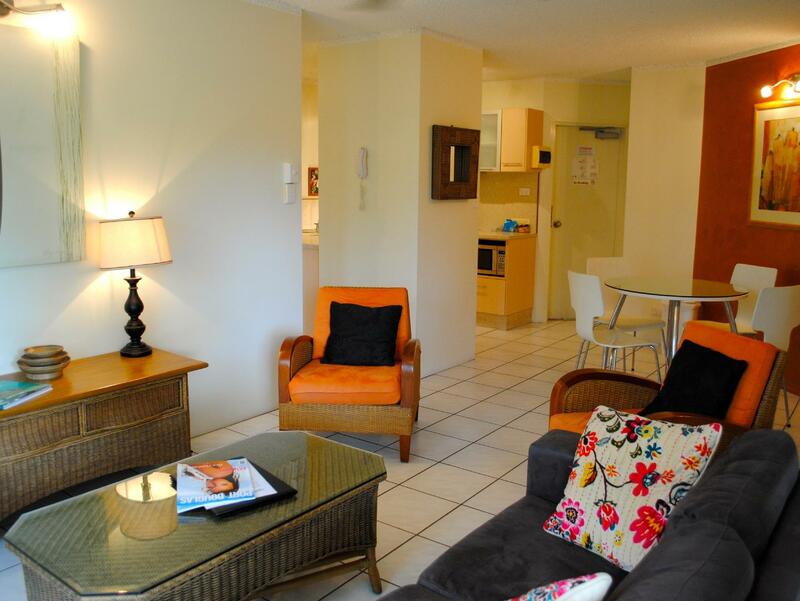 Very convenient location, only a few minutes walk to the main street or the marina. Everything you could want in the apartment with comfy couches to relax on. Although the pool area is not huge we always found somewhere to sit and relax. We had room 9 and our only feedback would be that the bedroom overlooked the carpark and stairwell, and we were woken a few times with guests leaving early. Our second visit to this hotel and our fifth to PD, we will be booking again next year. Apartment was clean and tidy and comfortably big enough for 2 adults and 3 kids under 6 including a 10 month old. The pool was a big hit with the kids and a few pool toys for them to play with was a bonus. Location was excellent - just a short walk to the patrolled beach, Main Street and marina. Would definitely go back with the family. Great location, Jenny the front desk receptionist was absolutely wonderful and the accommodation was superb!